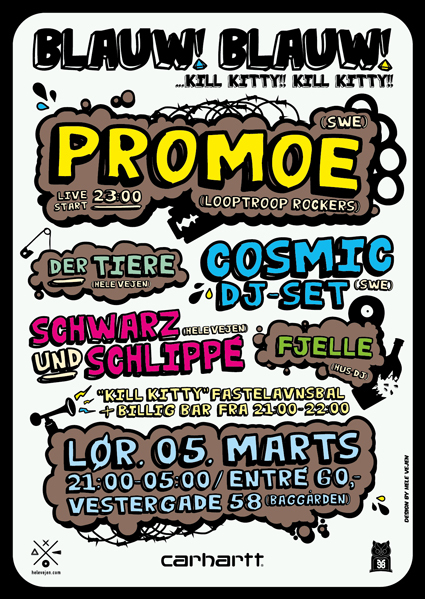 As special guest Promoe, rapper of the world-wide famous Swedish crew Looptroop Rockers, plays a winking solo show that definitely will have more to offer then just conscious HipHop music. For the rest of the entertainment local DJs from Århus and Cosmic, better known for his microphone skills in the Looptroop crew, plays a rare DJ gig. Costumes are welcome but first and foremost be in good spirits.